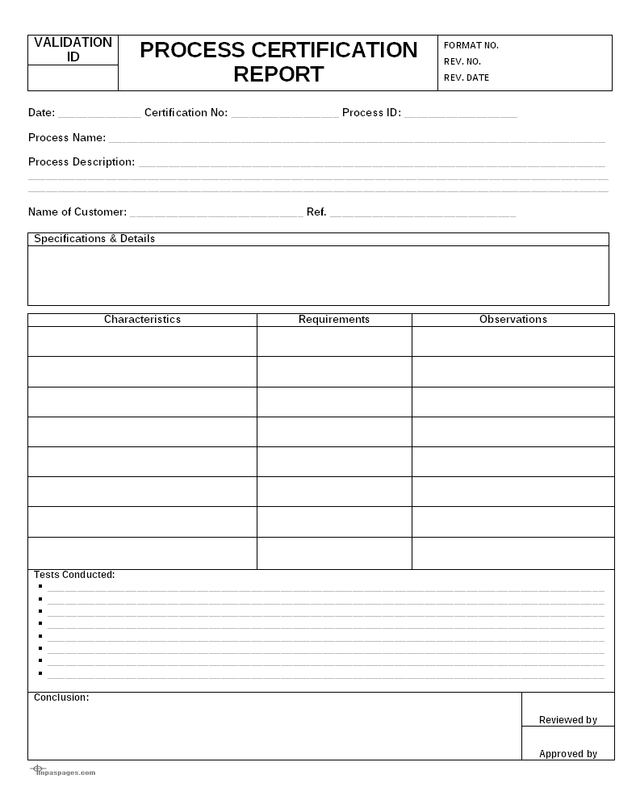 Process certification documentation is established for verify process stages, specifications and parameters to conducting manufacturing activities more productive. Process certification documentation are prepared for conducting verification activities of manufacturing processes to managing internal management system requirements for product specific processes, process technical requirements to producing materials and individual process parameters and characteristics verification to ensure that the process established in manufacturing activities are conducted, managed and each stages of process is accurate that maintain product quality. Process certification process conducting verification process to managing each stage of process to proper identify standard requirements to manufacturing particular product, requirements of parameters to conducting various processes, setup of the parameters of each product that all are need to verify and ensure that the product will maintain quality as the each stage of process and the process verification is conducted for assurance of quality during manufacturing process activity. The documentation for process certification are managed all the process verification activity. Process certification report covered all required information concerning manufacturing process verification, inspection records and various testing inspection processes records which used for verification and validation of manufacturing as per product standards and specification requirements. In the process certification report, team is conducting individual process verification and observations are mention for re-validation or approval processes to higher authority are conducting those observations for verification and approvals or reporting. On certification / validation of process is assurance of product quality & process that conducting for producing various products as on different parameters and setup. The records for process certification are conducted and managed as per standard system and its records are managed as evidence of certification of process.